Prepare for your next interview emotionally. So you have finally landed an interview at your dream job. You are excited and looking forward to the chance to do something that you have always dreamed about. But your excitement and hope are overshadowed by the anxiety you feel for the interview itself. Do you have trouble performing well in interviews because of nerves? Do you stutter, forget important things, and get distracted to the point where you miss the question? If interview nerves are a problem for you, then it is time to do something about it. At Advanced Care Hypnosis, there is a trained staff willing to help you perform at your best for your next interview. Their knowledge and experience with anxiety relief through hypnotherapy allow them to get great results with patients. Some even see results in as little as one session. Interview nerves can manifest in a number of ways. Quickened heartrate. Sweaty palms. Forgetfulness. Shaking hands. Light-headedness. And all of these conditions can take a good interview and turn it into a failure. It can be so frustrating when you know you would be perfect for a job, but your anxiety is making it impossible for your potential employers to see it. According to Executive coach Chris Charyk, the best thing you can do when the stress of the situation is getting to you is to stop, focus your thoughts, take a breath, observe what you are feeling, and incorporate it. Hypnosis has been used as a successful method of relaxing the mind and body and relieving the negative emotions that can overrun your system when you are anxious. Under the care of a trained hypnotherapist, you are placed in a hypnotic state. You are not in a trance, but in an open, ultra-focused, and calm state of mind. When you are feeling relaxed, your subconscious is open and amenable to suggestions. If your nerves are rooted in old feelings of failure or fear of embarrassing yourself, perhaps because of a past experience that still affects you, this memory can be dealt with under hypnosis. So when you walk into an interview – smiling, focused, and engaged – the people you are meeting are impressed with your self-assurance and find it appealing. They are more likely to offer you the job than if you are nervous and jittery. Self-hypnosis is a very helpful technique that can assist you with overcoming your interview nerves. You will learn during your hypnosis session how to calm yourself and focus. You will be able to use this method of relaxation at your interview, so that you will be ready to put your best foot forward. Are you ready to have an amazing interview? Are you ready to put your nervousness behind you and land your dream job? Advanced Care Hypnosis can help you get there. Daniel Rose has over 30 years of experience with patients that suffer from anxiety. His knowledge and training can help you when other methods have failed. Are you ready to change your life? To change your career? Now is the time. Imagine what it will feel like to enter an interview knowing that you are ready, that you are relaxed, and that you are going to get the job. Imagine your career advancing the way you have always dreamed of, and have worked hard for. Let Advanced Care Hypnosis help you make your dream a reality. Prepare for your next interview emotionally. 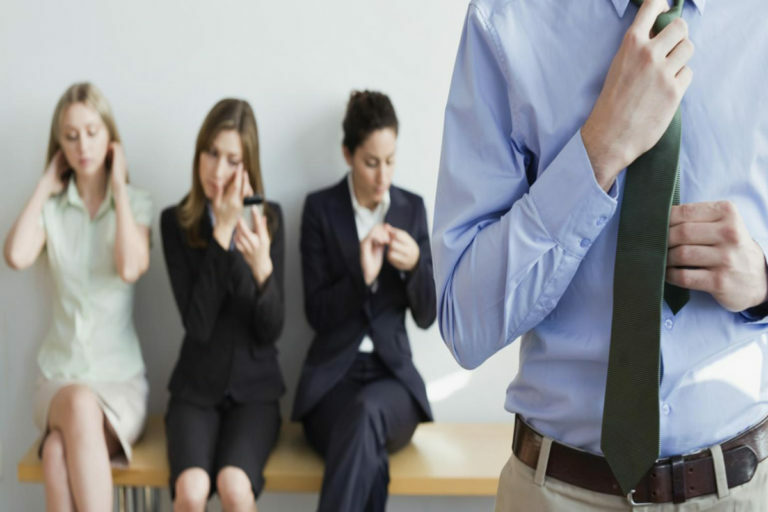 Oftentimes people experience a sense of anxiety during the interview process. The way you respond to this anxiety can be the difference between receiving a job offer or always wondering why you didn’t get the call. Through hypnotherapy, you can learn to respond to interview stress with poise and confidence, thereby giving your prospective employer an accurate impression of your abilities.